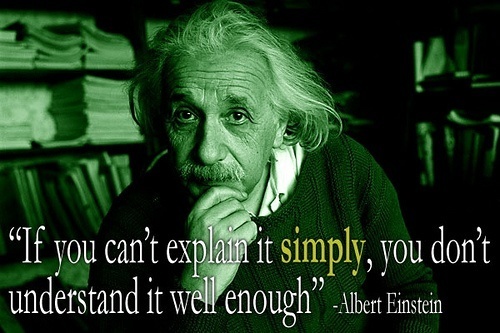 There are countless of quotes floated about attributed to Albert Einstein. I’m sure many of them–probably most of them–are authentic. Some are probably not. 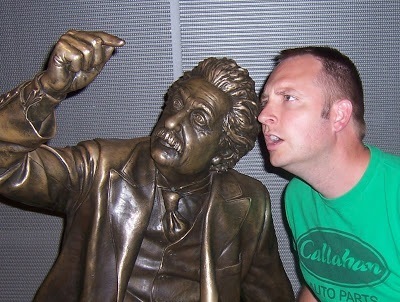 To his credit, he did have a lot of good stuff to say about a great many topics beyond physics. I think the above is a good example, and a worthy admonishment for all educators. Of course teachers need to have solid pedagogical knowledge (how to teach.) But they also have to have solid content knowledge (what to teach.) And if teachers can’t explain things simply, maybe it’s because they don’t actually understand it well enough themselves. That’s a weighty thought for me, as a teacher of future teachers. How do we ensure that teachers know how to teach, and also what to teach? I hope it’s a weighty thought for my fellow educators as well. If we are going to be real about what we are doing in the classroom, maybe this is a place to start: how well do we really understand the content we are teaching? Do I really understand dividing fractions? Or am I just teaching students the steps to follow? Do I really understand the rock cycle? Or am I just having them read about it in their textbook and hoping the don’t ask too many questions? Do I really understand how to read a topographical map? Or am I just using the teacher’s guide and going through the motions? Reflection is so important for teaching responsively!